The city of Santa Monica developed a seismic retrofit plan following the 1994 Northridge earthquake. It was the first city in the Southern California region to establish aggressive regulations targeted toward wood-frame soft-story structures. 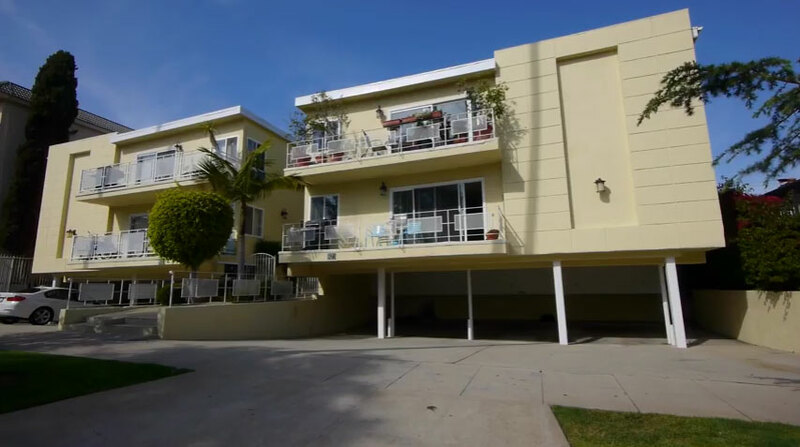 However, many buildings within Santa Monica did not comply with this ordinance. To update the outdated ordinance, the city of Santa Monica passed a comprehensive seismic retrofit program on March 28, 2017. In addition to wood-frame soft-story structures, the program also addresses unreinforced masonry, concrete tilt-up, steel moment frame, and non-ductile concrete buildings. Amendments to the seismic retrofit program regarding wood-frame soft-story buildings can be found in Chapter 8.72 of the Ordinance. In total, over 2,000 buildings in Santa Monica have been identified to fall within the scope of the City’s comprehensive seismic retrofit plan. The inventory of wood-frame soft-story buildings has been made public by the Santa Monica Planning and Community Development Department (updated January 31, 2017). Implementation of the Santa Monica wood-frame soft-story ordinance will be carried out in phases. The timeline for compliance for each unique structure begins following distribution of the Order from the Building Official. Orders will be issued according to the priority levels outlined below. The city of Santa Monica requires that wood-frame soft-story building retrofits adhere to the timeline shown below. The timeline for each building type is initiated following service of the Order to the Owner. Orders will be delivered according to the phases outlined above. The following table shows the five types of buildings and compliance time frames. These buildings exhibit characteristics that make them less resilient to earthquakes. Please note that compliance dates will be calculated from the date the owner receives notice from the Building Officer. How do I know if my building is included in the program? The City has prepared a list of buildings included in the program that will be required to complete a structural analysis. Inclusion of a building on the list is not confirmation that the building is structurally deficient, hazardous or unsafe. Buildings owners will also receive a notice from the City that it is included in the program, with timelines for compliance. To verify if your property is included, explore our searchable map. Does being on the List mean that my building is hazardous or vulnerable? No. Appearance on the List is the City’s best analysis in identifying the building in one of the five major categories. Appearance on the List does not necessarily mean that your building is unsafe, or will require retrofit. How much time do I have to retrofit my building? Note: All notices issued by the City to property owners City will include actual compliance dates. If my building is on the List included in the program, what steps do I need to take to ensure compliance? Step 2: Complete a Structural Evaluation.Step 3: Submit the Structural Evaluation to the City by the deadline provided in your notice. 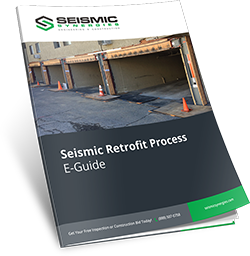 Step 4: Prepare and submit a retrofit plan to Building and Safety for plan check if the Building Officer determines that your building requires a seismic retrofit. Step 5: If the building is a residential rental building, complete a Means and Methods plan and notify tenants in accordance with the City’s Tenant Protection During Construction guidelines. Step 6: Obtain construction permits. Step 7: Complete the seismic retrofit. Who can complete a Structural Evaluation for me? If the Structural Evaluation determines that a Retrofit is not required, am I done? The Evaluation still must be submitted to Building and Safety for review. If the Building Officer confirms that a Retrofit is not required, the City will issue you a letter acknowledging that your building is in compliance. At this time, no further work is required related to the retrofit program requirements. Will I get verification from the City after I complete the Seismic Retrofit of my building? After City Building inspectors have approved the completion of the work, the City will issue a “Certificate of Completion of Seismic Retrofit Work” for your records. All property information in the City’s database will identify the property as being compliant with the 2017 Seismic Retrofit Program. Can I appeal an order that declares my building Potentially Seismically Vulnerable? Yes. After receiving an Order, it may be appealed by completing an Appeal Request Form within 60 days of the date on the Order. An appeal form will be included with the order. Appeals are heard by the Building And Fire-Life Safety Commission whose decision is final, except for judicial review. The Commission will decide on any Appeal within 90 days after the filing of the Appeal. If your building is on the City’s List of Potentially Vulnerable Buildings, and therefore scheduled to receive a notice, you may also file for reconsideration with the Building Officer. To file for reconsideration, please contact the Building and Safety Division at 310-458-8355 or seismic@smgov.net. Important Note: The reconsideration is an administrative review, which is intended to achieve a quick resolution when an owner has clear evidence that a building has either been retrofitted, or does not meet the conditions required to be included in the program. To ensure that a determination can be completed within enough time to still meet compliance deadlines, you should provide copies of any documentation that verifies the retrofit and/or have a licensed engineer or registered architect write a letter stating that the building is in compliance or that it does not meet the characteristics established by the Seismic Retrofit Ordinance as requiring evaluation. The letter of the licensed professional must bear the stamp and signature of this professional. To read the full ordinance, click here. Seismic Synergies specializes in retrofitting buildings for earthquakes in the greater Los Angeles area. We perform both engineering and construction on these projects and offer a 100% financed solution to those who qualify. Get your seismic retrofit completed within 30 days of construction, guaranteed! Contact us now for more information on proceeding with your seismic retrofit. Schedule a free on-site inspection now!